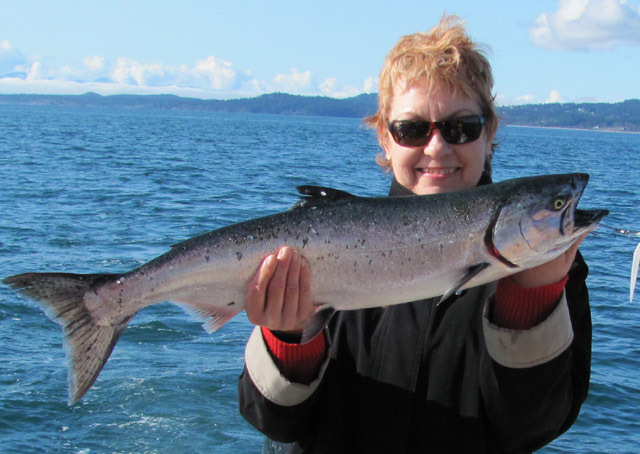 Gord from Foghorn Fishing Charters reports that salmon fishing has gotten a little better, in terms of both the numbers and size of the hatchery spring salmon caught. He says the Rhys Davis new rubber Baitrix herring strip has been the hot ticket. 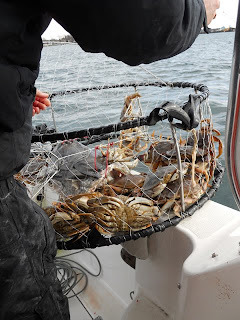 He reports there are still halibut out there you just have to go find them ... and quite a few crab around too. All in all, looks like a fun day fishing off Sooke and Victoria ... southern Vancouver Island delivers the goods again. The west side boys sent in this photo of a fun day's halibut fishing, somewhere west of Sooke. 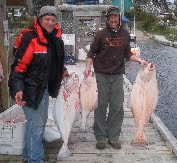 They said the halibut were caught in 180 foot depth using herring. 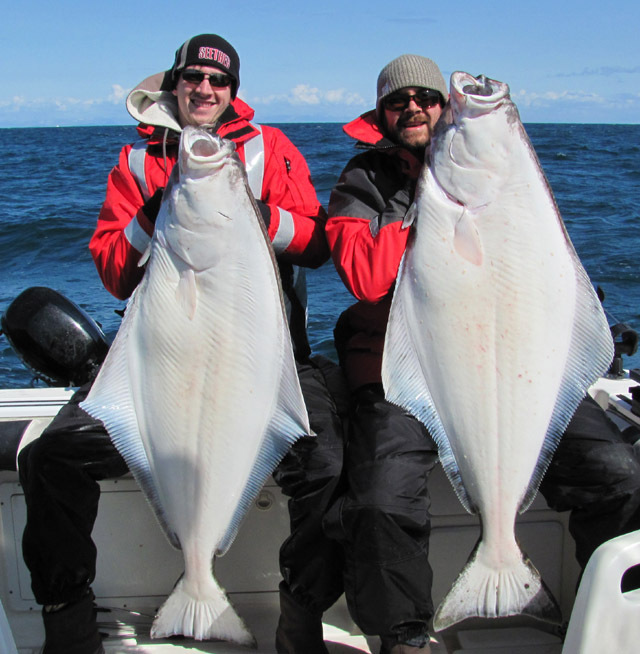 Rob, Aaron, and Jamie tagged these three 18, 40, and 44 pound halibut. Good job!